1. 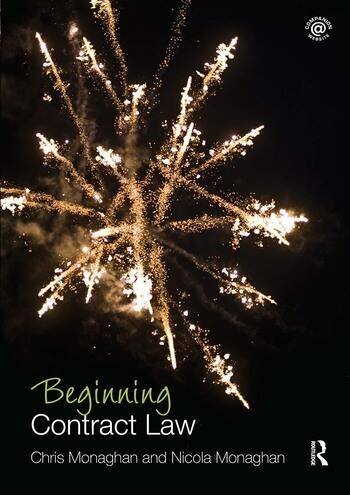 An introduction to contract law. 2. Offer and acceptance. 3. Consideration and ITCLR. 4. Terms, exemption clauses. 5. Misrepresentation. 6. Communication mistake and common mistake. 7. Duress, undue influence and illegality. 8. Privity of contract. 9. Discharging the contract. 10. Remedies. Nicola Monaghan is a Barrister and Senior Tutor in Law at Coventry University London Campus. Chris Monaghan is Lecturer in Law at BPP Law School in London.